Kay wrote 'I always check the sky as I am keen to get a pix on this site. I looked towards the east and wasn't really sure what I was seeing. It looks like a rainbow. Is it a rainbow? I used my Canon 500D with the standard lens. 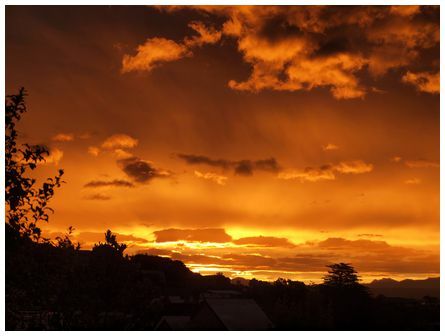 Photograph was taken at 13:50 on Wednesday 9 February 2011 from Anzac Parade Wanganui. No this is not a rainbow, Kay. 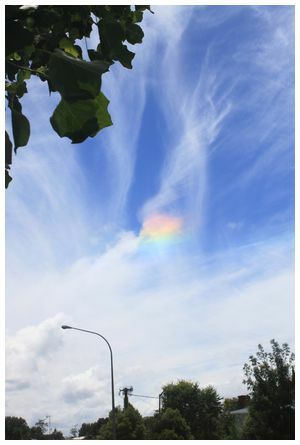 It is part of circumhorizontal arc and forms in cirrus clouds. These arcs occur when the sun is high in the sky - typically in the middle part of a summer's day and run parallel to the horizon. In this case we are only seeing a fragment of the circumhorizontal arc. A description of circumhorizontal arcs can be found here. Also click here for an earlier example shown on metvuw.com. (JMcG). 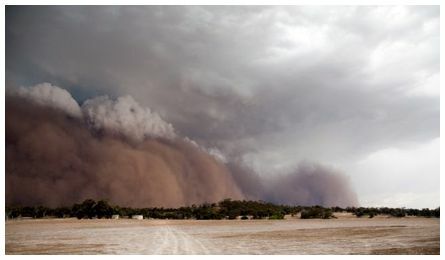 'This is a dust storm that engulfed York, Western Australia. It was pretty scary with winds up to 180kph. We were expecting a storm Sunday and we got the dust storm on the Saturday 29 January 2011 at 15:30. At first you thought it was a big fire coming. It lasted a good 15 mins and it got so dark the garden lights came on. A lot of trees were shredded and houses damaged' wrote Alison. 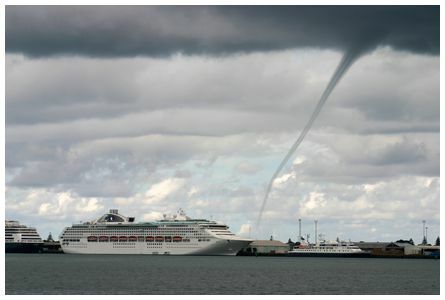 'Water Spout over Mount Maunganui, looks like its towing a cruise ship. Taken at 15:24 on 1 March 2011' wrote Marc. 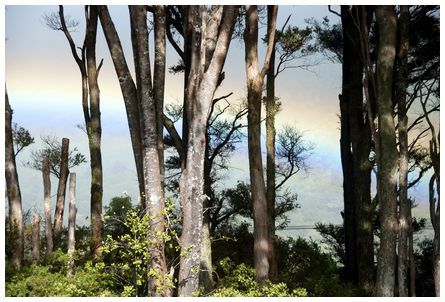 'Rainbow at Totara Avenue, Golden Bay at 09:29 on 5 February 2011' wrote Celia. 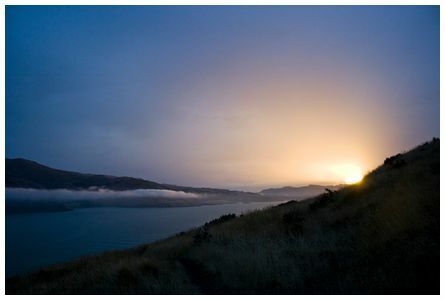 'This cloud plume formed off Mt Aspiring's summit late in the day on 24 January 2011 as a southerly change blew in and brought great conditions for the following day's climbing. 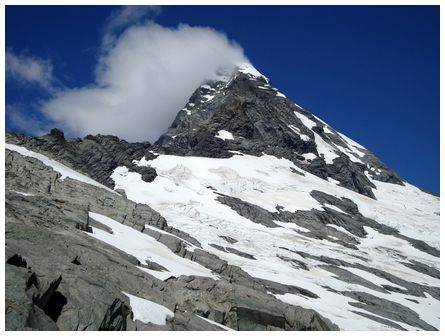 The photo is looking east up the northwest ridge from Colin Todd Hut' wrote Di.